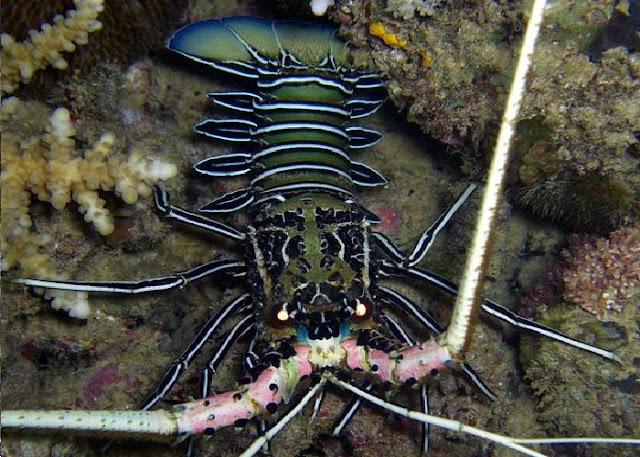 Panulirus versicolor has many names like painted rock lobster, blue spiny lobster, painted spiny lobster, common rock lobster, bamboo lobster, etc. 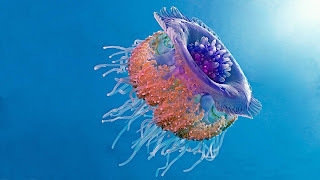 From these names it becomes obvious to anyone that the animal is colorful (as the adjective “painted” implies) and it has a lot of blue in the mix and also it lives in rocks submerged in the sea. Let us learn some quick and interesting facts about it. A painted rock lobster has no claws. They have two pairs of big and strong antenna. The 2nd pair is hardy and spiny. The animal has a colorful body. There are combinations of blue, green, black and white which gave it a stunning look. They have dark legs with white stripes. The tail is bluish green. It can swim fast for a short distance by using the powerful tail. The biggest among them can be 16-17 inches but the most common size of an adult is 12 inches. Painted rock lobster is a marine animal mainly based near the seas of Sri Lanka, the tear shaped island nation just below the horn of India. 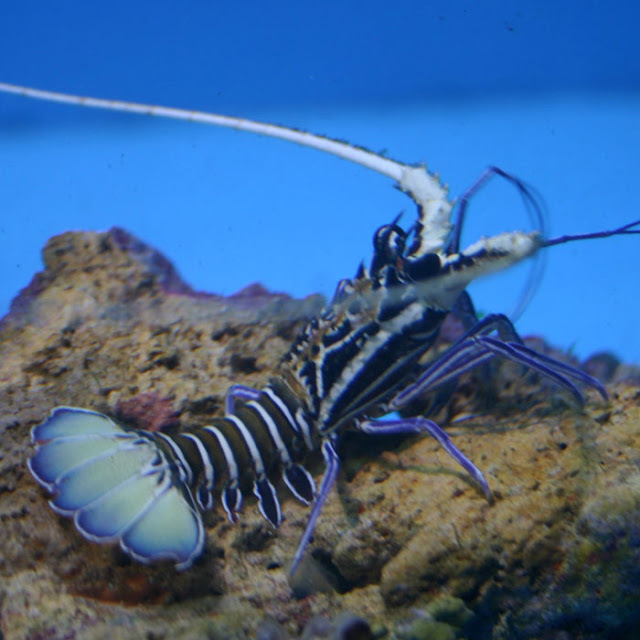 The lobster can also be found in other areas of the Indian Ocean like South African coast, the Gulf of Persia, Red Sea, Arabian Sea, Bay of Bengal etc. 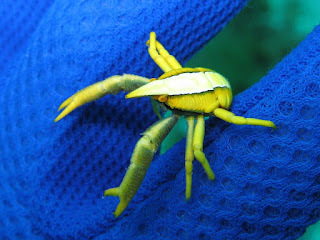 Some can also be seen in the South eastern part of the Pacific Ocean. 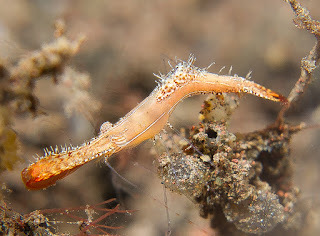 Panulirus versicolor lives in crevices of rocks and coral reefs. They live within a depth of 50 ft. Generally, the kept hidden in their caves and holes during the day time. They are nocturnal animals. So, they start their hunt for food in the night. They can produce a screeching sound by rubbing their antenna to scare the potential predators off. They are solitary creatures. Sometimes, they can move in groups. They can communicate with each other by means of their long antennae. They can always return back to their “home” from faraway places. They can do it by assessing the chemical composition of the water. They also use earth’s magnetism for navigation. 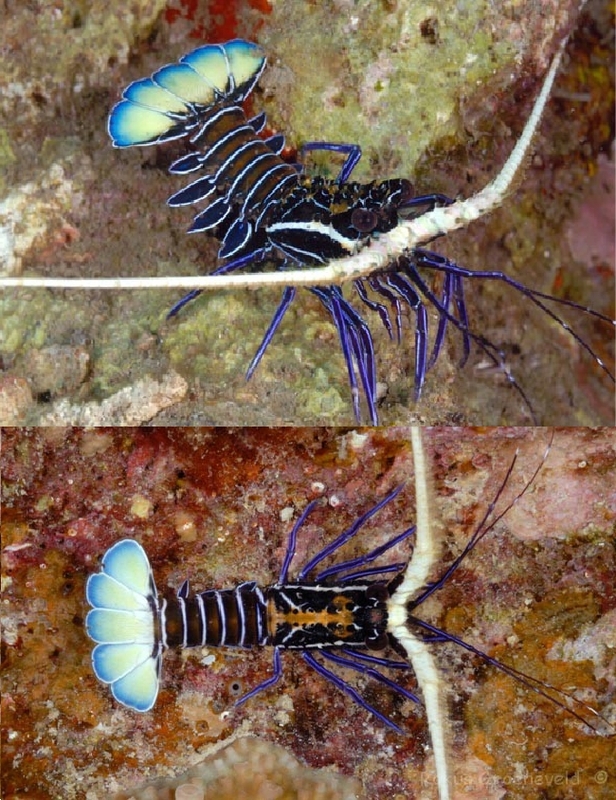 Blue spiny lobsters are carnivorous animals. 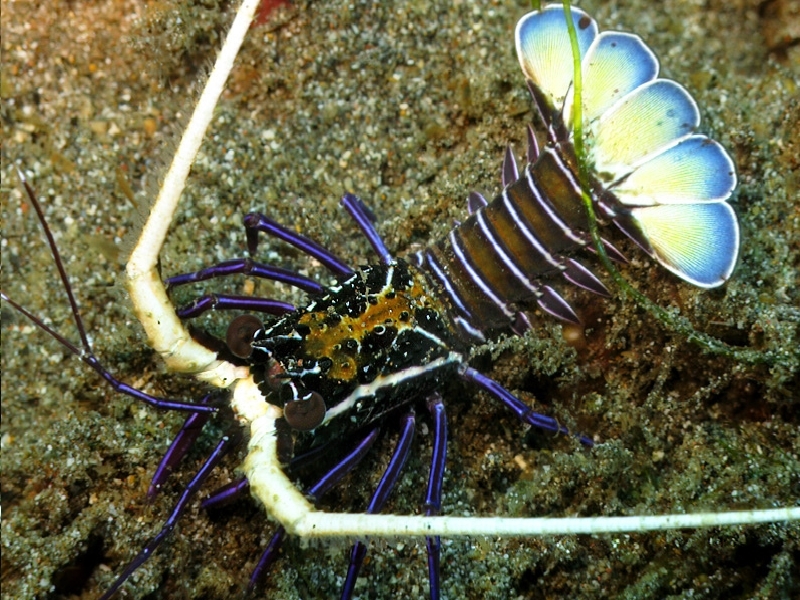 They eat small sea anthropods , especially crustaceans like other smaller lobsters, shrimps, crabs etc. They can eat both dead and freshly caught food. There other food items are various shells, clams and nudibranches like sea hare and sea urchins. Painted spiny lobsters spawning period is May to September. The larger females lay eggs three times a year but the smaller ones do so only once in a year. P. versicolor is edible. They are caught and sold as expensive sea foods. Many commercial fisheries used to catch them en mass. But overall, it is only a small portion of all the lobster caught by the fisheries. They are used in local markets as food but there is no international trade of it. 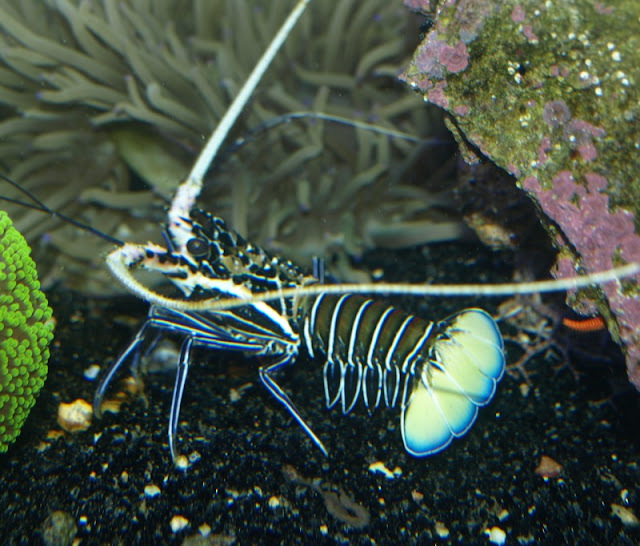 They are also popular among aquarium owners due to their colorful looks.